Let us attend to all the handicapped lift or ramp needs on your vehicle today. Whether you transport wheelchair users on a daily basis or only on occasion, Braun has a wheelchair lift designed to meet your needs. They also offer complete transit conversions. 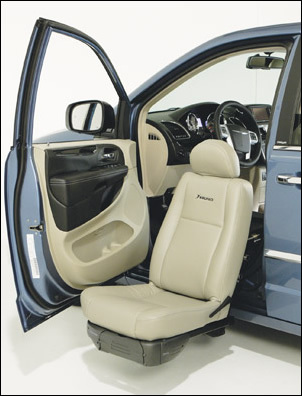 Bruno stair lifts, power chairs, scooters, vehicle lifts, stair lifts and turning automotive seating provide solutions for individuals who may face challenges with mobility. Individually programmed at installation to ensure the best fit and function, the Valet Plus features power forward/backward seat adjustment with full seat recline. The best driver access seat available today. With an impressive array of colors, and new Metro Tech fabric and Ultraleather Plus materials - it feels like the seat has been tailored just for you! 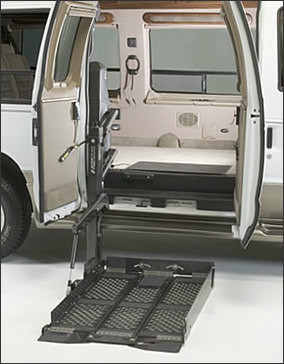 Rollx Vans offers whatever requirements you need for your wheelchair accessible van. From driving and tiedown equipment, to steering and seating options, Rollx Vans works with you to customize your best solution. The Rollx Vans sales team has no incentives to add equipment to sales. Our goal is provide you with options that work for you. Rollx Vans also offers multiple service options for wheelchair vans, including At-Home Service in most of the United States. We have more than 200 Preferred Service Shops around the country. This gives you total flexibility with your warranty coverage. 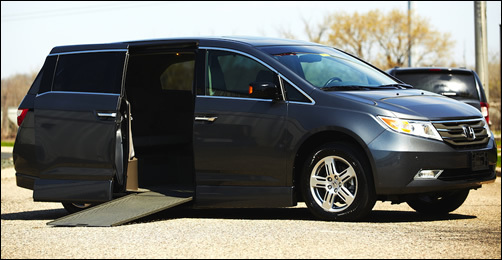 Rollx Vans maintains the largest inventory of handicap vans in the United States. Weâ€™re your used wheelchair van complete, one-stop solution. For over 25 years Mobility Products & Design has been designing and refining customized, ergonomic driving controls that keep you actively involved in your world. Our easy-to-use hand controls make driving simple - just push forward to brake and pull down to accelerate. Our wide selection of steering controls puts you in command of your vehicle, and our foot controls make every day tasks convenient - from turning the ignition key to setting the parking brake. The Accelerator/Brake Guard is recommended by driver evaluators to be used with hand controls. It protects the driver from inadvertently resting their foot on the accelerator or brake pedal. It also shields the driver from unintentionally placing their foot under either pedal. 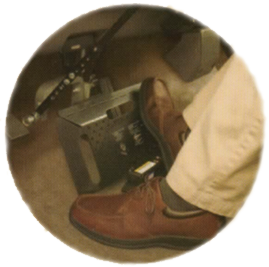 The quick release mechanism allows it to be easily removed without tools, permitting ambulatory drivers full use of the pedals.